Whether it's raining or snowing, you can't afford to stay in and miss out on life! When you have DailyShoes Rubber Rain and Snow Boots in your wardrobe, you'll be ready to face the elements with confidence and in style. 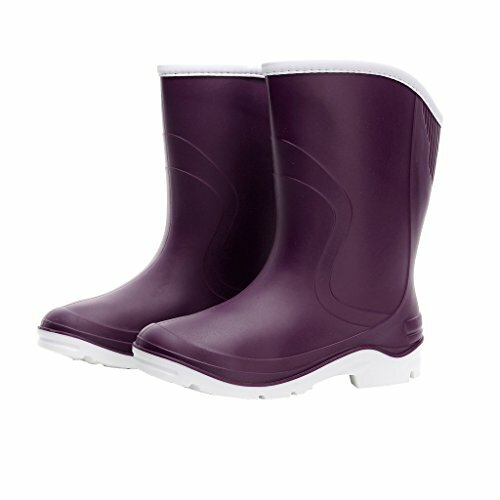 Make sure you're ready for the worst weather with the best rubber boots for women on Amazon! Choose the color you like best and order the DailyShoes Rubber Rain and Snow Boots today! always trying our best to make it pleasant shopping experiences for everyone of you. EAST PULL-ON DRESSING: The wide boot's body let you fell easy wear! If you have any questions about this product by Kontai, contact us by completing and submitting the form below. If you are looking for a specif part number, please include it with your message.